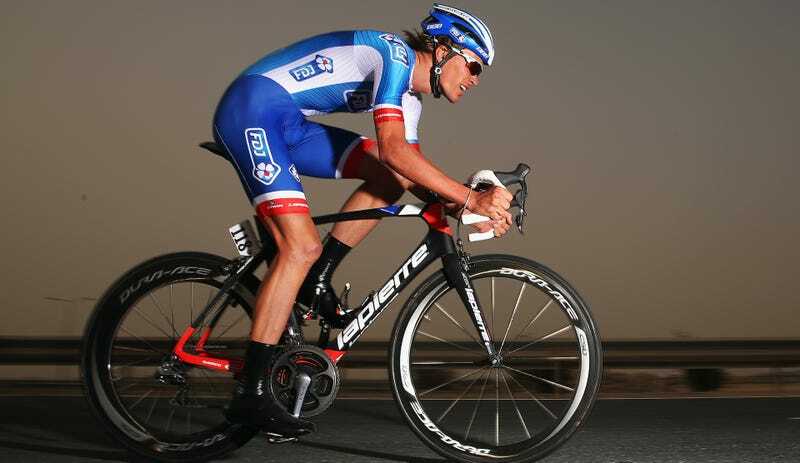 Yoann Offredo is an experienced French cyclist, who has raced in the professional peloton since 2006. He spent a decade with FDJ, where he finished in the top ten of a handful of classics and served as a domestique for the team’s stars. He’s racing for Belgian team Wanty Groupe-Gobert and he wrapped up a very successful classics season, finishing 14th at both Paris-Roubaix and the Tour of Flanders. This morning, Offredo posted an account of being assaulted while on a training ride, and he included some disturbing photos of the damage. He said that an assailant attacked him with a baseball bat and a “bladed weapon” of some sort. There was a lot of blood. “I’m not angry, I am just sad to realize that this beautiful sport that I love, I don’t want my kids to practice it … it’s too dangerous.